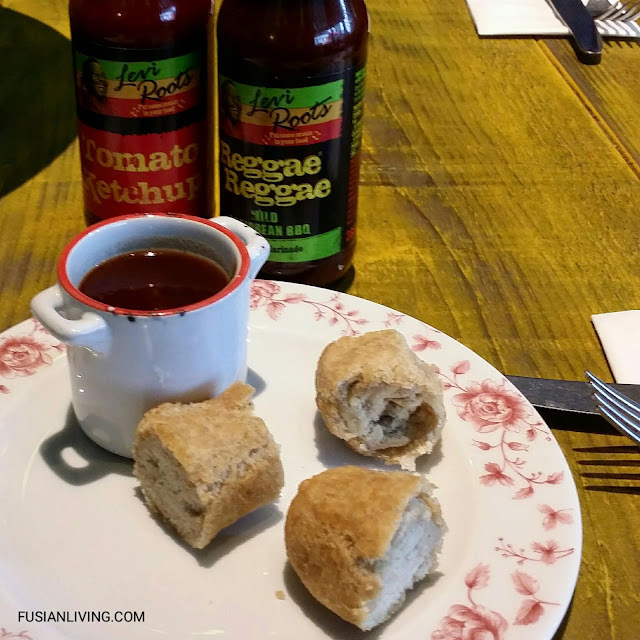 Levi Roots Caribbean Cooking Class at Westfield Stratford | Grow Your Own Veg Blog. Gardening and Food Blog. 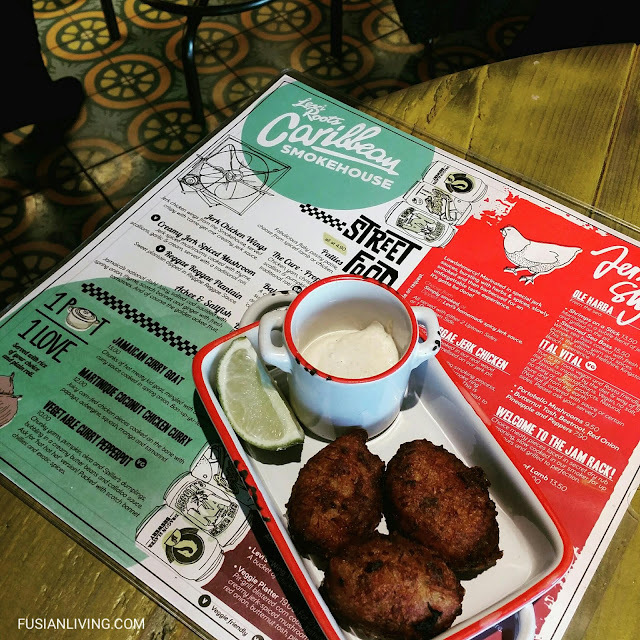 Recently, I was invited to discover Caribbean cuisine at a cookery session held at his bright and colourful new restaurant, Levi Roots’ Caribbean Smokehouse at Westfield Stratford City. 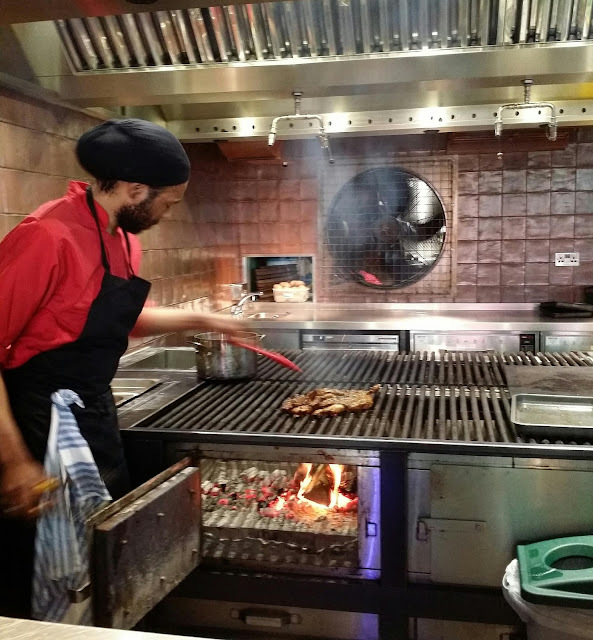 Created and run by the man himself, Caribbean enthusiasts will see how to make some of his favourite dishes from the menu as well as getting the opportunity to discover more about what makes the cuisine so distinctive. Our session began with a meet and greet with Levi over tea and coffee. We then gathered around the open kitchen, where Levi shared stories from his childhood, intertwined with interesting facts about key ingredients in Caribbean cooking like ackee, salt fish, yam, okra and plantain. During the cookery demonstrations, Levi made two authentic Caribbean dishes, Jerk Chicken and Curry Goat (not to be called Goat Curry, Levi tells us). We learn about the key ingredients that give Jerk chicken its distinctive flavour, dried pimento berries (also called "allspice berries") and scotch bonnet chillies. Levi's Curry Goat is a dish you won't want to miss. 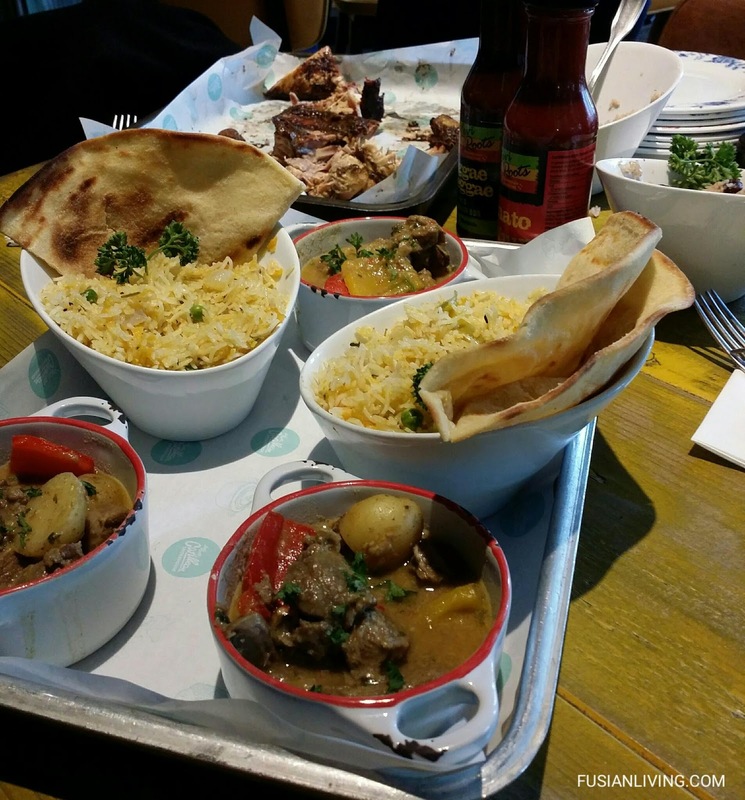 Tender, juicy chunks of goat/ kid meat and plenty of flavour. And yes, you get to sample the dishes. We watched as Levi mixed together flour, baking powder, cinnamon and nutmeg to form a doughy mass. Shaping the dough into balls, they are carefully dropped into the deep fryer, where they transform into fluffy balls of bread with a golden, crisp outer crust. These fried dumplings are called festivals or "Johnny cakes", and are a traditional staple in Jamaica. Levi learnt to make these from his grandmother when he was just a child. I've never been much of a deep fryer but Levi assured me that you can also shallow fry these (which I tried at home the very next day and worked perfectly.). These Bajan fish cakes are made from salt cod. Salty and scrumptious! 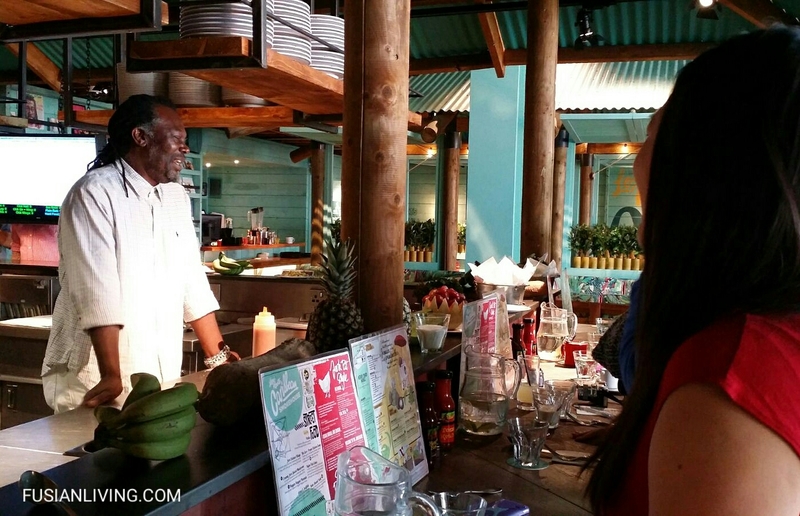 This is a fun filled cookery session that will inspire you to cook authentic Caribbean cuisine. Put some music in your food! 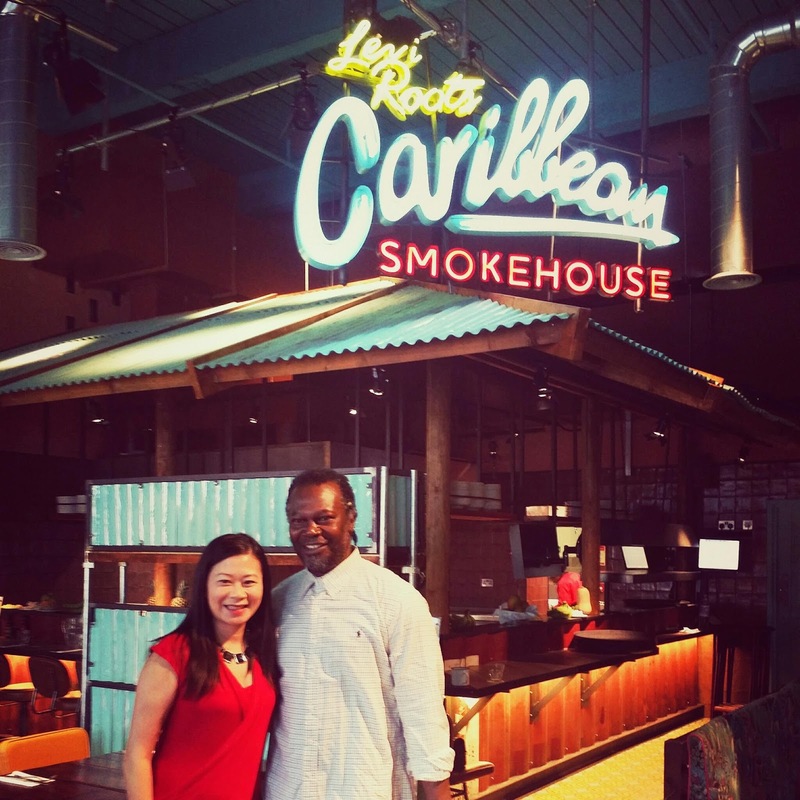 at Levi Root's Caribbean Smokehouse, Westfield Stratford.